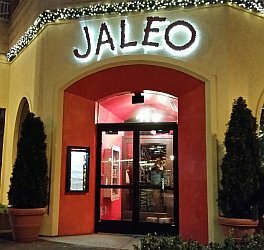 The Jaleo Restaurant offers Spanish cuisine at 7271 Woodmont Avenue, Bethesda, MD 20814. The restaurant is open for lunch and dinner. 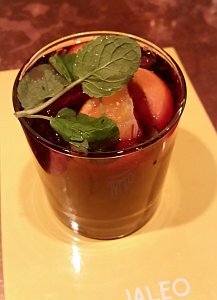 There are several other locations for the Jaleo restaurants which are run under the direction of celebrity chef José Andrés. 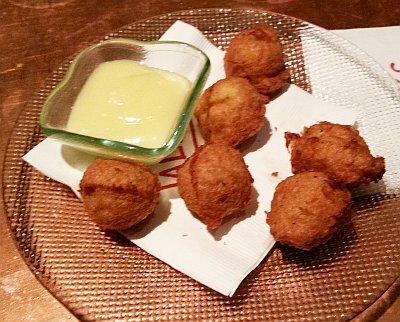 Jaleo offers "tapas" which are small, appetizer-size dishes in a casual atmosphere. To satisfy your hunger, you may need to order several dishes, which at an average of $10 dollars may end up costing about $40 per person. 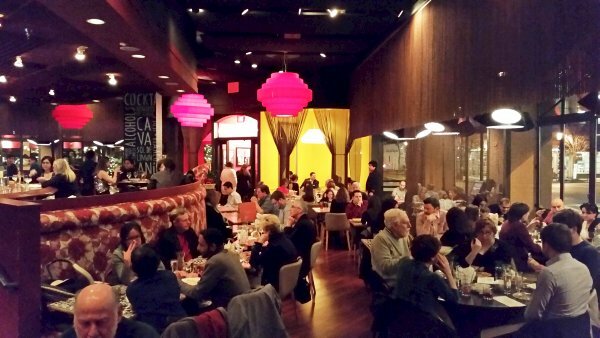 The Bethesda Jaleo is half a block from a large parking garage. The split-level room has dining tables in the lower section and a large bar in the upper section. 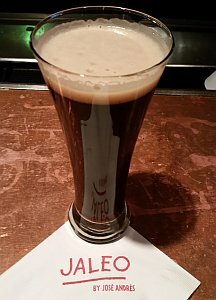 There are several good beers on tap and also a large selection of Spanish wines. that cut off the circulation in your legs. You will not be able to sit at the bar for a long time. 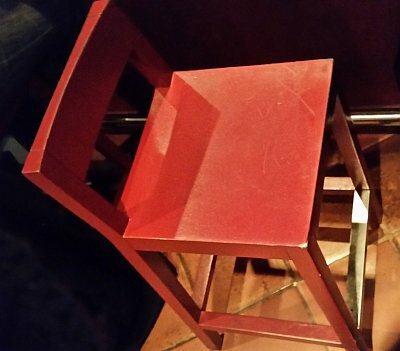 The hard bar stools are very uncomfortable. A little bit of cushoning would be appreciated. The food is freshly prepared when it is brought to your table. The cod fritters were tasty, but they did not have the pungent flavor of the salted cod that is found in Europe. 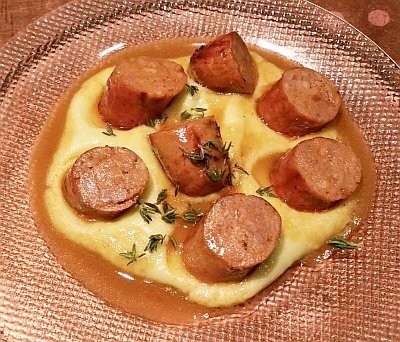 The Spanish chorizo was tasty, but not too different from kielbasa. The fresh thyme garnish gives this dish a distinctive taste. 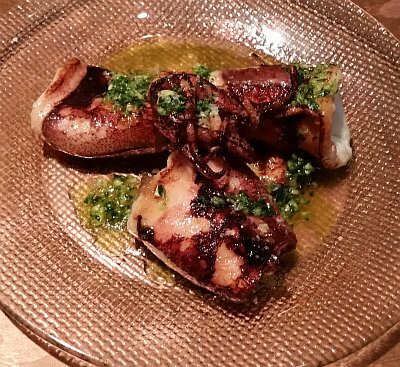 The grilled calamari had an excellent flavor of olive oil, garlic and parsley. The braised short ribs were absolutely delicious. 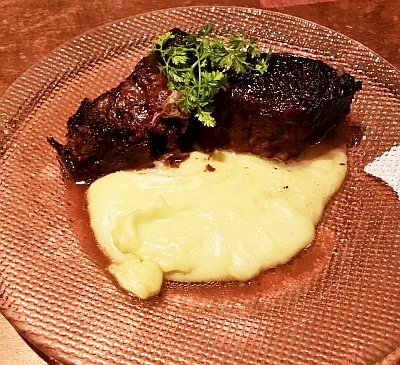 The boneless meat is flavored with red wine and cooked until it is very tender. The shrimp sautéed with garlic was tasty, but not extraordinary because the garlic was boiled rather than fried. 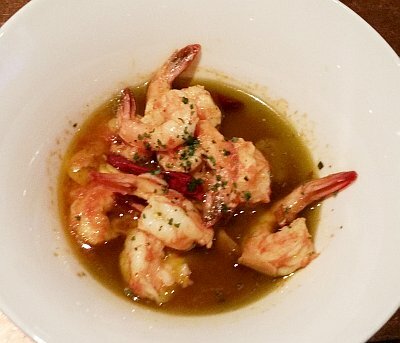 Versions of "gambas al ajillo" that start by sautéeing garlic are usually more flavorful. The dish is good, but it could be better. 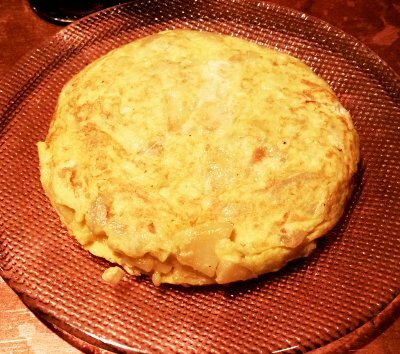 The "Tortilla de patatas" is a traditional Spanish omelet. The omelet is fluffy and has good texture. You may need to add black pepper for flavor.